At Casa el Morro we provide services to organise and design your workshop throughout the year, for families groups and individuals. 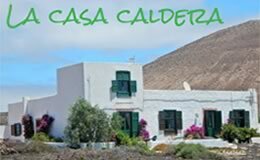 We have 30.000 square meters of land, a generous and spacious oasis of gardens around our accommodation, the incredible energy of nature and the mild Canarian climate. 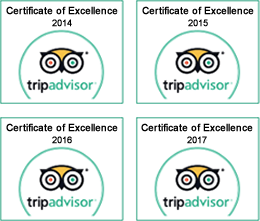 We provide people with the ideal environment to open themselves to personal growth. 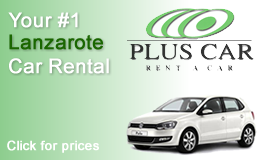 Lanzarote is the ideal location to find a space to breathe. The island has an amazing capacity to amplify and empower the human spirit. The elements are in constant union and are strongly present everywhere. The earth, wind, fire and water are very alive here. 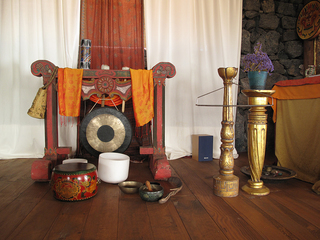 Many visitors who have experienced the island and run workshops, express its immense healing powers. 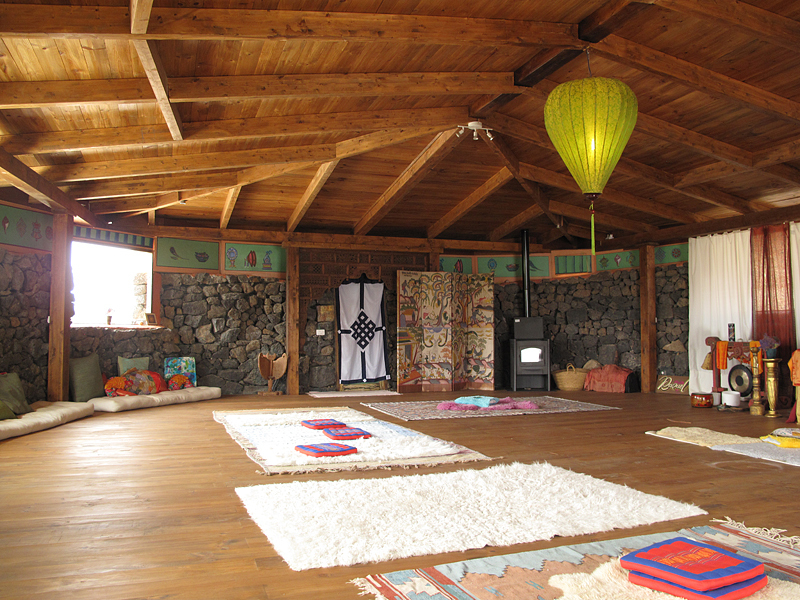 It is the ideal place to organise retreats and work for the mind, body and spirit. The volcanic energy under our feet, the vast landscapes of lava fields and the almost inexistent intrusion of media, leads us to connect and enter a direct dialogue with the universe. In a place like this, we easily feel part of the cosmos rather than trapped within our own mundane reality, which is an essential part for any kind of healing to manifest itself. We dreamt of a space, an ideal circle of total harmony with the environment and with us. This space emerges at the highest peek of our rural sanctuary, in a stunning location with spectacular views. 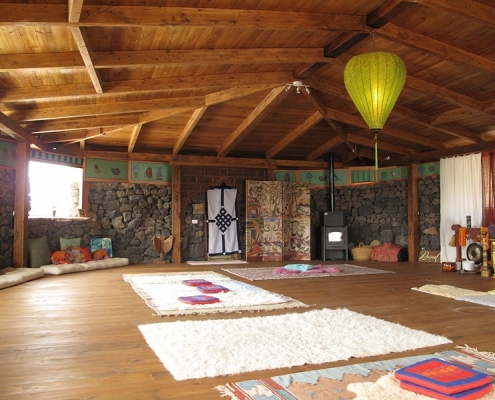 The hall has been created with raw materials of lava and wood. It has been planned, nurtured and created to serve a unique purpose, enhance our consciousness and heal our body mind and spirit. A fantastic communion with the immensely beautiful moonscapes that impress us through the large windows, we leave the outdoor to invade the cozy interiors that have been painted with Tibetan panels full of symbology and mysticism. Through yoga practices, meditations and sounds harmonisations with quartz bowls, we enter a high vibrational space, highly energetic, where the possible connection with our true identity can happen. Through meditation we find a union with our higher being, our inner knowledge. Then we enter a state where we no longer feel isolated or individual, but part of the whole cosmos. We then transcend our physical body into pure spirit. We become vibrant, light beings and we feel happy and whole. A marvelous space brought directly from the plains of Mongolia where the locals have been using these structures as a place to live for thousands of years. 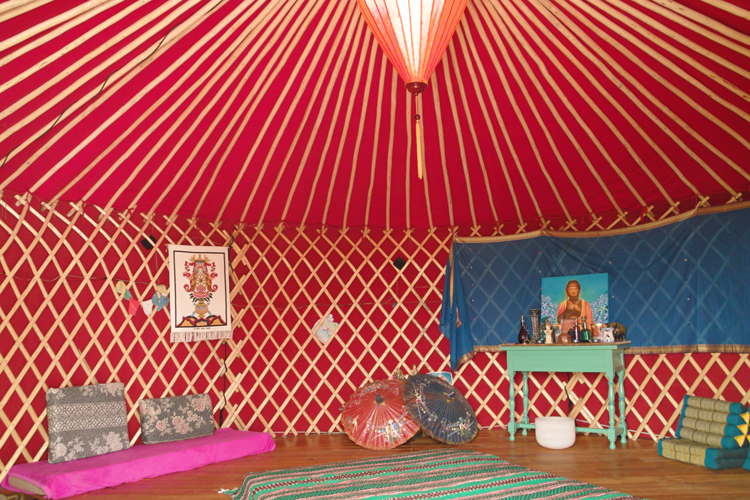 The space is perfect for the practice of any spiritual activity. 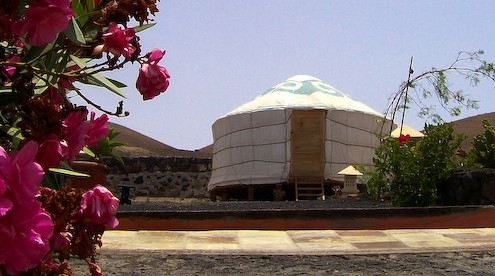 The yurt is round with a pyramid shaped roof that accentuates the e nergy of the earth and balances it with the celestial and the spiritual guide´s energy. The whole of the interior is made with natural materials using craftsmen methods. The main elements are hairs of yak to tie the carved wooden lattice that forms the walls. It has a thick velvet material to isolate it from the outside temperatures, all covered with an impermeable (waterproof) canvas. The above combination creates a space in which we feel as if within the womb and is also ideal to enjoy massages and yoga classes. 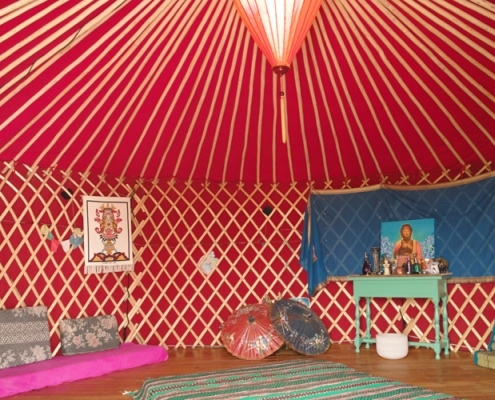 We are also pleased to be able to offer The Yurt for larger groups or seminars.